The Federal Trade Commission reports that more than 1 million Americans are lodging complaints when it comes to debt collectors – and those complaints are filed because they say consumers are being hounded for money they don’t owe. Delving further into this report, it becomes clear that these consumers have good reason for these complaints. While the findings are startling, there are efforts in play that could ultimately change the way debt is chased in this country. The agency has a few more startling revelations, as well. The government agency pulled 90 million random accounts that had been sold to debt collectors. A whopping 70% of those accounts were credit card delinquencies and the majority of those sold accounts had woefully little information that provided the proof the debt was actually owed. Debt collectors will take the accounts and run with them, all the while no concerned about whether or not the account is actually legitimate. The FTC reports it received 185,000 debt collection complaints last year. That is twice as many as it received in 2007. It’s the credit card complaints that continue to rise, however. And here’s another bit of revealing information – debt collection agencies buy these accounts usually for just four cents on the account balance. The worse part is that when these accounts are bought, to get all of the information required, the collection agency must pay the original debtor more money – sometimes as much as $10 per document. Not only that, but the original creditor often took up to 60 days to provide that additional information. Because it’s all about profits for these agencies, they opt to take the limited information given to them and then make efforts to get those consumers to pay up. Unfortunately, because they’re only going forward with just the basics on any particular account, the room for error – such as targeting the wrong person – is significantly raised. The report, “The Structure and Practices of the Debt Buying Industry,” coincides with new efforts from the Consumer Financial Protection Bureau (CFPB) that include onsite investigations of collection agencies around the nation. What it ultimately finds will determine whether or not it will issue new compliance guidelines that would be industry-wide. Those rules could include minimum documentation requirements and federal standards that would be applicable in every state. Questions are already being asked as to why first the collection industry isn’t regulated and second, why the problems have escalated in recent years, up to and including complaints of illegal efforts by debt collectors. Many collection accounts are often sold multiple times and it’s rare that one collection agency’s efforts is included in the sale. That means consumers often do battle with multiple different companies, each time having to dispute the accounts. Each time an account is sold, it’s often done so with even less documentation than what was provided to the agency before it. Some consumers find themselves in a vicious cycle of dealing with one debt collector after another, even after the consumer has been able to prove they don’t owe the debt or that the balance is wrong. 3.2 percent of debts sold in the U.S. last year were disputed by consumers. That equates to around 1 million accounts that were disputed. When consumers did request the collection agency to provide proof that it had, the debt collectors were able to do about half the time. The information that was provided included the consumer’s social security number, the account number and other sensitive information. The more the original debt is sold, the higher the odds that the latest collection agency has just paid for a certain outstanding balance, only to learn that the consumer might have been paying other collection agencies, which means the current collector paid a percentage of a balance that wasn’t owed. If you’ve been contacted by a debt collector, you should request proof that you owe the debt. That proof should include the balance it says you owe. If you do request verification, you have a right to expect it within thirty days. You should put that request in writing, as some states don’t recognize verbal requests. That information should include the original creditor, your account number with that original creditor and the balance that creditor insists you owe. If you cannot get the collection agency to provide that proof and it still continues to harass you, there are legal outlets you can pursue, including lawsuits. 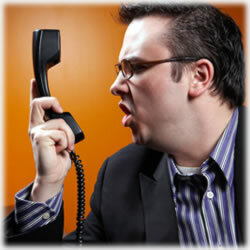 If a debt collector contacts you at work, you can insist that it not continue to do so. By law, the agency must cease those efforts. You also have the right to insist the collector cease all efforts of contacting you, too. After that, the collection agency can contact you one more time to advise you that it’s seeking legal remedies. And it has that right, so if you do, be sure your ducks are in a row because about half the time, the company will seek legal recourse. Finally, consumers have a new ally in their efforts of fending off illegal debt collectors. The CFPB investigates all complaints it receives and in fact, is collecting input to aid in its investigation into the the debt collection industry. Whether it’s a problem you’re having with the original debtor or if your debt has been sold numerous times, there are guidelines businesses must follow when trying to collect past due balances. The problems in the industry are numerous and the renegade collectors who earn their money in these ways will often go to extreme lengths to get consumers to pay up. Also, the Fair Debt Collection Practices Act has in place guidelines that must be followed by those in this industry when they’re attempting to collect debts. Calls between 9 p.m. and 8 a.m. are forbidden, collectors may not make false threats or reveal your debt to others – and using social media to shame consumers is illegal, too – and when they don’t adhere to these guidelines, they face thousands of dollars in penalties. Many lawsuits are launched by credit card holders, who have historically been what the FCC calls “major targets of debt collectors”. Clearly, there is a lack of ethics that must be addressed if successful change is to occur. Despite the continued problems in the industry, lawyers are reporting fewer lawsuits by consumers. Last year, there were close to 11,000 lawsuits filed against collection agencies, down from around 10,000 last year. There’s also been a shift in what consumers are claiming, too. These days, it’s robocalls to cells and even refusals to provide the credit bureaus accurate information, even after the debt collector has received the information that proves it. What are your thoughts? Do you have any debt collection horror stories? We’d love to hear them. Join the conversation on Facebook or share your story in our comments section.